T.R.H. Pearson, S.L. Brown and R.A. Birdsey. 2007. 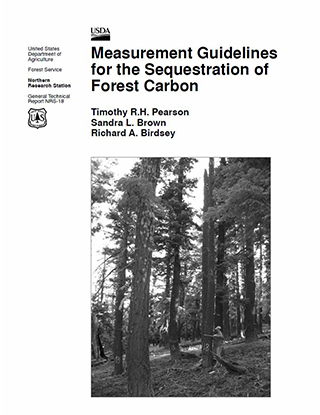 Measurement Guidelines for the Sequestration of Forest Carbon. Gen. Tech. Rep. NRS-18. Newtown Square, PA: U.S. Department of Agriculture, Forest Service, Northern Research Station. 42 p.